You can also get a quote directly from Fortify's site or compare life insurance proces using specialist service ActiveQuote. Fortify aims to simplify the process of buying life insurance and it only asks 11 questions before you can purchase its policies online. Its life cover is underwritten by Covéa Life Limited. You can get 10% cashback with Fortify’s cover through our groups for young professionals and young families. Or have a look at our guide to the best life insurance companies. What types of life insurance does Fortify offer? Does Fortify offer life insurance for over 50s? How much does Fortify life insurance cost? Are there discounts available for Fortify? Fortify offers level and decreasing life insurance, these are known as term life insurance policies. Fortify doesn’t offer whole of life cover. With level life insurance, the payout will remain the same for the length of the policy. Fortify says it’s usually used to provide a lump sum payment for dependents, or cover an interest-only mortgage or loan. Decreasing cover will decrease throughout the policy term and Fortify says many people use it to cover a capital and interest mortgage where the amount you owe goes down each year. It’s possible to take out a joint policy, which may be of interest to people in a relationship or young families. We offer 10% cashback on Fortify’s life cover for young families. Get a quote here. Yes, Fortify can quote for people aged up to 65. However, the amount of cover available is lower for older people. You can get a quote by joining one of our groups for young professionals and young families. Or compare its cover to the best life insurance companies. The cost of cover will depend on factors such as your age, how much cover you need, how long the policy will last and whether you use tobacco products. Life insurance is often cheaper than people expect and Fortify says prices would start from around £5 for a 30-year-old with a 25-year policy for £100,000 of cover. Get a quote and get 10% cashback on Fortify’s cover through our groups for young professionals and young families. 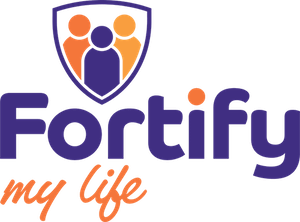 We’ve teamed up with Fortify to offer 10% cashback on life insurance for young professionals and young families. Financial services review firm Defaqto has given Fortify’s level and decreasing policies 2 stars out of 5. Its rating is based on the comprehensiveness of the policy so 2 stars implies there are companies that offer policies with more features. Of course, you may end up paying more for those policies. To claim on Fortify’s life insurance you’ll need to call its underwriter Covéa on 0333 130 4543. Fortify also offers cover for travel, car hire excess and income protection. Its parent company ActiveQuote allows you to compare quotes for health and life insurance. "Highly recommend Very easy to make a claim either by phone or online- completely paperless! Claims always settled quickly and can be ..."
Get 10% cashback with Fortify’s life insurance through our groups for young professionals and young families.